Meet our team of elite professionals. Loveland native, Dr. Polka graduated from Loveland High and earned degrees at the University of Northern Colorado with a BS in Kinesiology and Slippery Rock University where he graduated as a Doctor of Physical Therapy. From a young age, Dr. Polka was an athlete, sparking his interest for human performance. After rehabilitating a football injury in junior high, he knew he wanted to be a physical therapist. 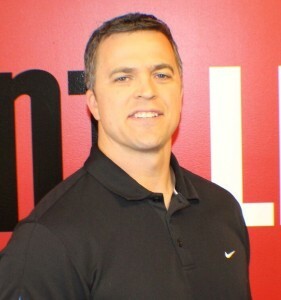 While developing the The One80 System, early in his career Dr. Polka earned his Certified Strength and Conditioning Specialist (CSCS) designation from the National Strength and Conditioning Association and became Board Certified in Orthopedics (OCS) from the American Physical Therapy Association. As a former high school and collegiate athlete, Dr. Polka remains involved with sports by working with a variety of patients including little leaguers, high school All Americans, Division I standouts, and professional athletes. He has also had the privilege of being part of the Loveland High Football Sports Medicine team for six seasons. Outside the clinic, Dr. Polka spends as much time as possible with his wife and boys. Dr. Polka’s favorite activities are traveling with his family and watching his kids play football, lacrosse and snow board. 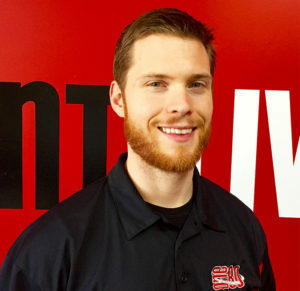 While planning his post-graduate career, Dr. Frye came across One80 Physical Therapy. He immediately appreciated the patient-focused, science-based evaluation and treatment methods. Being able to immediately improve patients functional ability, and enable them to return to their normal activities is what excited Dr. Frye about learning the One80 System. A native of Daytona Beach, Florida, Dr. Frye attended the University of Florida for his undergraduate and graduate degrees. As a former high school athlete, Dr. Frye has a passion for exercise and movement, which led him to study exercise science. 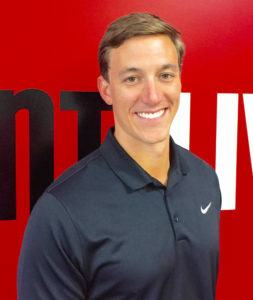 He spent his free time during college as a local high school cross country and track & field coach, personal trainer for the University of Florida, and manager of the University of Florida Muscle Biology Laboratory. His love for exercise, movement, and performance ultimately led to him becoming a physical therapist. When not in the clinic, Dr. Frye enjoys spending time with his wife camping, hiking, and snowboarding. He is also a passionate college football fan, and is always cheering for the Gators on Saturday afternoons. After being introduced to the One80 System, Dr. Patel was intrigued by the immediate and lasting improvements in each patient’s functional ability. A treatment system that focuses on the underlying cause of dysfunction rather than symptom based treatment is what set One80 Physical Therapy apart from traditional physical therapy making Dr. Patel eager to learn this innovative approach. Growing up in Tampa, Dr. Patel attended the University of Florida where he earned his B.S. in Applied Physiology and Kinesiology. His passion for physical therapy began when he saw the life changing impact it can have as he was volunteering for an organization to integrate children with special needs into the world of sports. As a former athlete and personal trainer, Dr. Patel has always had an interest for athletic performance optimization and injury prevention. This led him to attend the University of Miami where he earned is Doctorate of Physical Therapy degree. Dr. Patel moved to Colorado because of his love for the outdoors. In his free time he enjoys rock climbing, hiking, camping, skiing and playing soccer. A native of Fort Collins, Dr. Harmon was introduced to theOne80 System after practicing in a conventional physical therapy clinic. Upon being introduced to One80, he was intrigued with its immediate effectiveness and scientific base. Dr. Harmon was eager to work at a clinic that focused on the root cause of injury and gave him the one on one time to focus each patient’s return to full functional ability. Growing up in his father’s gym facility gave Dr. Harmon an early love for human biomechanics and anatomy. 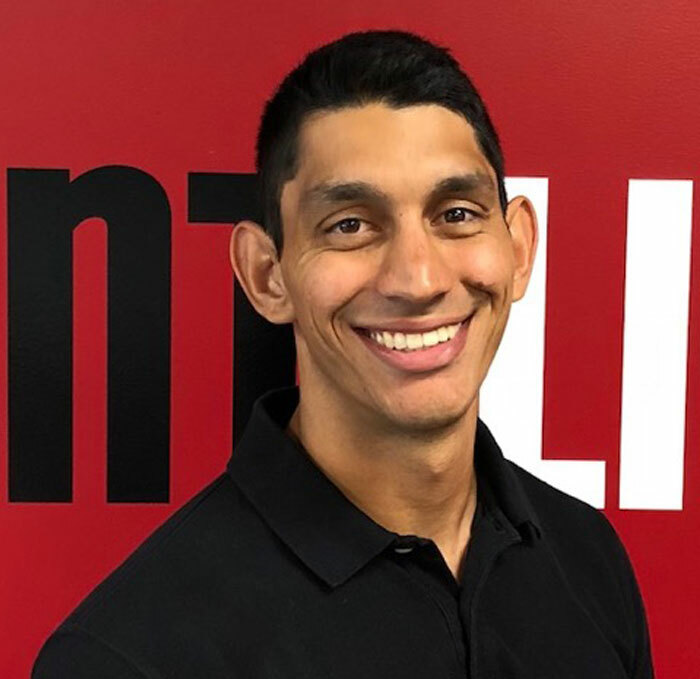 After spending his early career as a personal trainer and strength coach, Dr. Harmon obtained his BA from the University of Colorado at Boulder in Biology, and then his Doctor of Physical Therapy from Marymount University. Dr. Harmon’s fiancé also earned her Doctor of Physical Therapy from Marymount University. Together they enjoy spending as much time as possible taking advantage of Colorado’s many outdoor activities. Dr. Harmon is also a Level 1 CrossFit trainer who works with CrossFit athletes on injury recovery and athletic enhancement. This is our dedicated team. We would love to work with you, so feel free to get in touch!